Anyone who looks at my cube at work or around my apartment can immediately tell that I love making lists. From grocery lists and cleaning lists to to-do lists and monthly goals, lists bring me joy and make me feel organized. Whether or not I am successful at completing them is a totally different story, but at minimum, they give me a visual representation of something to work for. My most recent list is one I am super excited about. Since the big 3-0 is coming up in 2020, my friend and I each created a 30 before 30 list - 30 things we want to do before we turn 30 next year. Since we only have a little over year to accomplish it, we tried to keep it pretty simple and realistic. However, we did include a variety of categories that include trying new things, exploring places in Milwaukee we haven’t seen before, and a few new to-dos that will hopefully help us learn and grow as individuals overall. It always seems that when I go kayaking, I never remember to go in my own backyard and kayak the river in Milwaukee. If I’m kayaking in the area, I usually end up at Upper Nemahbin Lake near Pewaukee. So this summer, I am going to rent a kayak downtown. We've actually been thinking about planning a group kayak through doNorth, so if that's something you'd be interested in, make sure you're signed up for our email list so you can be first to receive all the details! This is probably something I should know how to do already, but I don’t. Luckily, I’ve never needed to know, but in the interest of always being prepared, I'm determined to learn. If anyone out there has tips for picking this up easily, let me know! This is probably what I’m most excited for (and it’s already planned, so I know it will happen for sure). In May, I’ll be heading down to Page, Arizona to explore the Lower Antelope Canyon, Lake Powell, and be making a quick stop at the Grand Canyon. I’ve never been before, but the pictures look AMAZING and I can't wait to take it in in real life. This one may seem simple and silly, but I can't tell you the last time I had a bonfire and it's something I always enjoyed. There's something about standing around a fire with friends that reminds me of a simpler time and reminds me to find joy in small moments. This one shouldn't be too hard to accomplish and hopefully can be a repeat occurrence this summer. 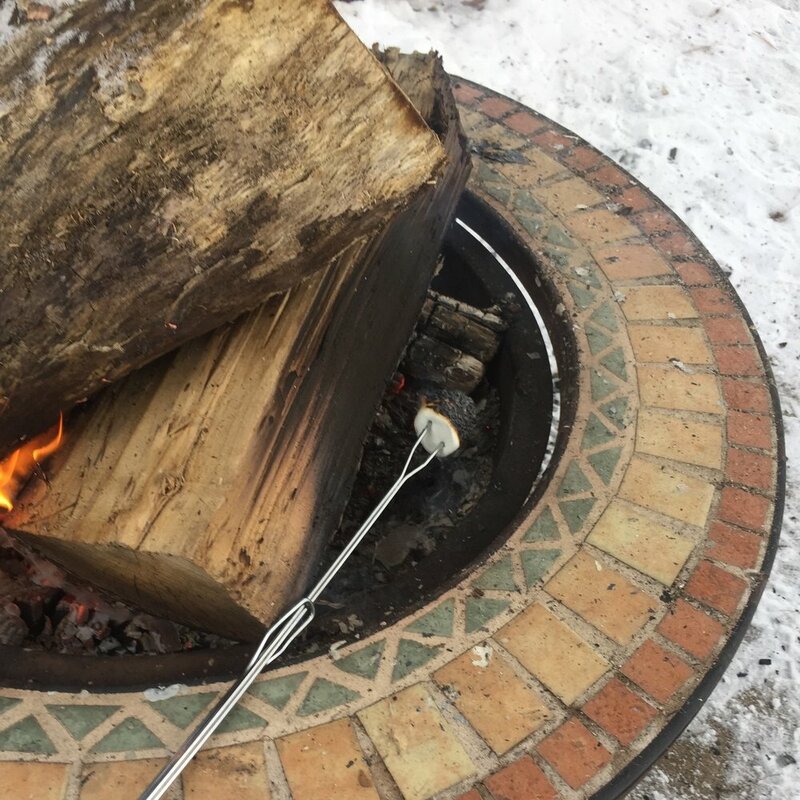 And s’mores, of course, are a must! This is going to be so difficult for me, but the goal is for the habit to stick and continue much longer than one month. I've heard of a few different apps to try and hope to find the best for people starting out on the meditation train. Leave us a note on our latest Instagram post if you have recommendations for how you meditate and tricks for those of us just starting out. If there's one thing I love more than creating lists, it's checking items off those lists, so I am excited to start this journey! Make sure you follow along with us on Instagram to check in to see how successful I am at checking these off my bucket list as the year continues.